Want to take a trip to Guatemala? 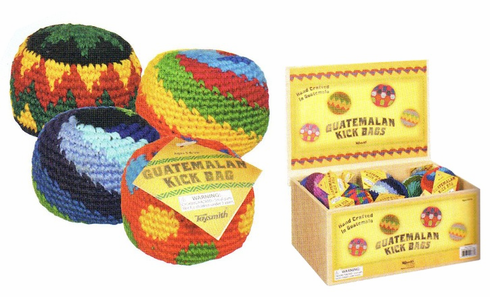 Well, you probably won't get the chance any time soon but with these kick bags you can bring a piece of Guatemala to you! Hand crafted in Guatemala, these authentic kick bags are the standard 2" diameter and come in assorted colors and patterns.